The US Vanquish demo is out now on Xbox Live! You lucky boy! Are you American? Then you can download the Vanquish demo right now! That’s right the US demo is out right now on XBLA. It’s just sitting, waiting for you to download it. I wouldn’t disappoint it if I were you! 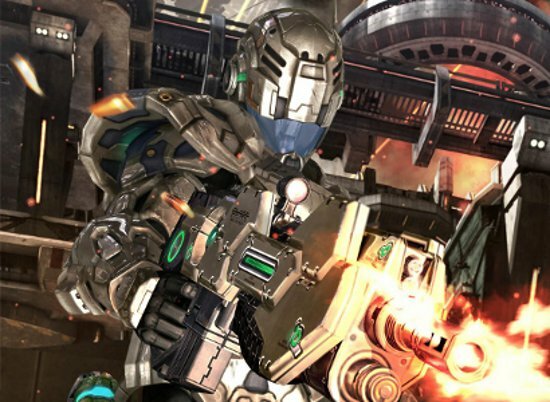 Talking about Vanquish the game is approaching steadily, Personally I can’t wait to try it out, which is why I’m cursing the fact that they didn’t put the demo on right now in all regions. But whatever, it’ll probably be out before I know it anyway. So if you have played the demo already, how is it? Why not tell me in the comments? Today there’s a Sega sale on XBLA! Aw, I won’t be able to get this for a while! I’m moving in a matter of hours and I wont’ have internet set up in my new place for at least a week. Somebody play it for me! I downloaded it this morning. The game is really good and quite challenging. I’m not sure if I’m playing wrong or if it’s just a difficult game but I’ve died quite a few times in the demo alone. Gotta wait until the evening to download this since I’ve only got a PS3. Can’t wait though. I played an online game earlier and tried to tell people about the demo but only one person seemed interested.